Sheila Riggs is recognized as an academic and policy leader with an established record in developing and implementing innovative results through a balanced portfolio of peer reviewed research and hands on community engagement. She has navigated a uniquely influential career as a dentist, epidemiologist, academic, corporate executive, and policy advocate. In recognition of Dr. Riggs’ impact, she was selected as the 2016 Distinguished Alumni for the Harvard School of Dental Medicine. 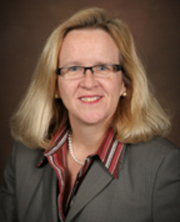 Dr. Riggs current serves as Chair, Department of Primary Dental Care at the University of Minnesota’s School of Dentistry where she provides leadership to the pre-doctoral dental program, the Dental Hygiene, and the innovative Dental Therapy program. Dr. Riggs also serves on the Community Engagement team for the University’s Clinical and Translational Science Institute pursuing a wide range of critically important research interests related to the overall health status of communities and populations. While pursuing her Doctorate in Medical Sciences from Harvard in the late 1980s, she was convinced that expanding access by influencing insurance carriers and legislative leaders would have a much greater impact than providing care one patient at a time. She began her career serving as an Assistant Professor in Harvard School of Dental Medicine’s Department of Oral Epidemiology and Health Policy, and then President of the Iowa Health Research Institute. She joined the executive ranks of Wellmark Blue Cross and Blue Shield of Iowa and South Dakota to launch and lead their analytics division, later adding the role of Executive Director of The Wellmark Foundation to her responsibilities. In 1999, Dr. Riggs was recruited to the Board of Directors of Delta Dental of Minnesota to provide governance to their innovative analytics strategy. The success of that strategy led to her appointment as CEO of Delta Dental in 2005 where she served until the firm’s operations were acquired in 2008 by Wellpoint creating the largest Foundation dedicated to oral health. Dr. Riggs is Chair of the Board of Directors of Hennepin Health System. She also serves on the board of Benco Dental, Inc., as well as the Cargill Foundation and the Minnesota Hospital Association. Jiang, P, DeVries, A, Springman, S, Bargman, E, Garrett, N, Riggs, S. Comparison of Dental Service Utilization for Women Before, During and Immediately After Pregnancy. J Am Dent Assoc, 139 (9):1173-1180, 2008. Doebbeling, BN, Wyant, DK, McCoy, KD, Riggs, SM, et al. Linked Insurance-Tumor Registry Database for Health Services Research. Medical Care 37(11):1105-1115, 1999. McGuire, S (Riggs), McGuire, A, McGuire, M. The genetic risk factors for bone and soft tissue tumors. Surgical Oncology Clinics of North America 3(3):599-607, 1994. Tennstedt, S, Brambilla, D, Jette, A, McGuire, SM (Riggs). Understanding dental service use by older adults: Sociobehavioral factors vs. objective need. J Publ Health Dent (54):211-219, 1994. Fox, CH, Jette, AM, McGuire, SM (Riggs), Feldman, HA, Douglass, CW. Periodontal disease among New England elders. J Periodontol 65:676-684, 1994. McGuire, SM (Riggs), A review of the impact of fluoride on adult caries. J Clin Dent 4(1):11-13, 1993. McGuire, SM (Riggs), Fox, CH, Tennstedt, SL, Feldman H. Douglass, CW. Beneath the surface of coronal caries: Primary decay, recurrent decay and failed restorations in a population-based survey of New England elders. J Pub Health Dent, 53(2):76-82, 1993. Douglass, CW, Jette, AM, Tennstedt, SL, Fox, CH, McGuire, SM (Riggs), Feldman, H, and McKinlay, JB. Oral health status of the elderly in New England. Journal of Gerontology 38(2):M39-M46, 1993.